What is Blu-ray? Blu-ray (not Blue-ray) also known as Blu-ray Disc (BD), is the name of a next-generation optical disc format jointly developed by the Blu-ray Disc Association (BDA), a group of the world's leading consumer electronics, personal computer and media manufacturers (including Apple, Dell, Hitachi, HP, JVC, LG, Mitsubishi, Panasonic, Pioneer, Philips, Samsung, Sharp, Sony, TDK and Thomson). How to watch Blu-ray on PC? Blu-ray players are abundant on the internet, so which one will meet your needs perfectly? Watch Blu-ray on your PC or watch Blu-ray movies on your computers! The best Free Blu-ray media player for high-quality video playback. QWEAS' editor picks up several powerful Blu-ray players, and you could chose the right one accoding to your needs. Enjoy your Blu-ray and DVD movies right now! Earth Bluray DVD Copy - a software to decrypte blu-ray disks and copy them to common blank DVDs. It will definitely be what you need. It can copy and burn blu-ray disks perfect without any loss of quality, and support super high burning speed. Download Now Earth Bluray to iPod Converter - converts Blu-Ray disks (BD) and DVDs to iPod (320*240) MPEG-4, iPod (320*240) MPEG-4 AVC, iPod (480*320) MPEG-4, iPod (480*320) MPEG AVC, iPod (640*480) MPEG-4, iPod (640*480) MPEG-4 AVC,iPod MP3, etc. Download Now Blue-Cloner - Blu-ray copy software to make quality Blu-ray backups easily. Blue-Cloner can copy Blu-ray movies to BD-R/REs or to the hard disk drive with absolutely the same quality. Blue-Cloner is capable of removing unwanted movie features. 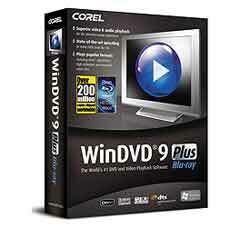 Corel WinDVD 9 Plus Blu-ray is DVD, Blu-ray Disc and video playback software that delivers quality and entertainment in style. Play spectacular Blu-ray and HD DVD discs on your PC, or enjoy standard DVDs with state of the art HD quality upscaling. Take your movies on the go with advanced battery optimization controls for laptops. Play home movies recorded on the latest high-definition AVCHD camcorders. Choose WinDVD 9 Plus Blu Ray for the ultimate DVD and video playback experience. Maximize your DVD viewing experience with Blu Ray Discs, the new standard in high-definition. Enjoy standard DVDs with HD quality upscaling, Play home movies in HD and watch movies on the go with advanced laptop enhancements. For movie lovers looking for the best that high-definition has to offer, WinDVD 9 Plus Blu Ray delivers superior picture quality and audio performance on your PC. Play Blu-ray, HD DVD and standard DVDs. Buy this product risk-free. 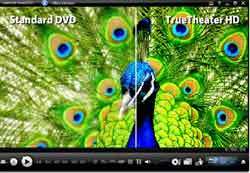 Universal Player, Including Blu-ray Discs: In addition to playing commercial and homemade DVD movies, TotalMedia Theatre also plays Blu-ray discs formats — high Definition MPEG-2, AVC, and VC1, AVCHDs, CDs, VCDs, as well as all kinds of other high-definition (HD) content: WMV HD, Quicktime HD, DivX HD, and H.264 HD. Support includes both 1280x720 (720p) and 1920x1080 (1080p). 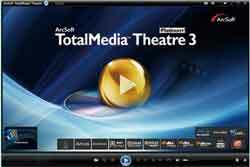 ArcSoft TotalMedia Theatre 3 delivers the ultimate movie-watching experience on your PC! TotalMedia Theatre Platinum 3 offers excellent hardware compatibility, working smoothly with high-definition graphics processors from Intel, NVIDIA and ATI. It is also compatible with commercial discs, bringing users exceptional playback of content on the PC. With above average scores on the HQV test, users are guaranteed smooth and colorful playback quality. 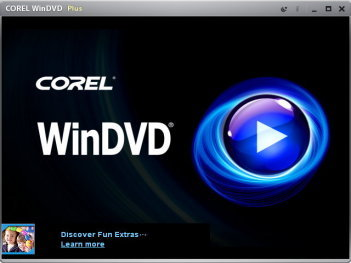 Corel WinDVD Pro 2010—the world’s leading Blu-ray and DVD player software. Whether you're watching a Blu-ray Disc, an HD video file downloaded from the Internet or your own HD home movie, WinDVD Pro gives you the intense video quality that only HD can deliver. WinX Blu-ray Decrypter is specially designed to backup Blu-ray movies to your hard drive. With user-friendly interface, WinX Blu-ray Decrypter enables you to easily decrypt and copy Blu-ray movies with Blu-ray DVD drive to your computer by removing all protections from BD video, including encryption (AACS), BD+ copy protection, etc. WinX Blu-ray Decrypter is fully compatible with all BD media. WinX Blu-ray Decrypter is powerful Blu-ray backup tool to decrypt and rip Blu- ray to your hard drive and store as m2ts files. It is capable of removing all the protections, such as encryption (AACS), BD+ copy protection of Blu-ray Discs. With user friendly interface, this Blu-ray decrypter can rip Blu-ray with high video quality in a few clicks. This Blu-ray backup software allows you to rip Blu-ray movies to hard drive with high video quality and super fast speed. And it is fully compatible with all BD media. * Watch Blu-ray movies like never before: Enjoy interactive features and next-gen movie navigation. Display advanced content such as crew commentaries and access online content and games. * HDMI 1.3 Support: Up to 8 channels of high-definition audio, and lossless pass-thru for Dolby True-HD and DTS-HD Master Audio. * PC friendly: Play your HD movies on high or low spec CPUs. DVD-Cloner VII 7 is the latest version of the world's most reliable DVD5 DVD9/Blu-ray copying software. DVD Cloner 6 features new cutting-edge functionality that makes DVD5 DVD9; Blu-ray copying simple. DVD-Cloner VII 7 gives yous the freedom to make perfect 1:1 DVD copy, movie only copy and customized copy, whatever you want. The SmartAnalyser technology is integrated to ensure the highest level of success copying latest DVD5 DVD9/Blu-ray movies.